Nothing says curb appeal like a lush, green lawn and beautiful flowerbeds filled with every color of the rainbow in front of a doorway boasting a summertime wreath. Something about it just feels like home and is welcoming to the neighborhood. Whether you’re in the selling or buying process, there’s something to be said about summer time and all the ways that a home can look more inviting. 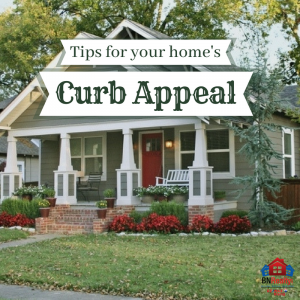 We want to share with you some simple tricks to make sure that your home has curb appeal that everyone will appreciate. 1. Green grass is a MUST! It’s hard to look beyond a dying lawn when it’s the very first thing that people see when looking at a property. Weeds like dandelions and thistle are common in lawns and are definitely an eyesore. Pulling them up from the root and picking up a weed killer at your local home store will do wonders and is generally inexpensive. You definitely don’t have to hire an expert to do the job, which is nice! Just make sure you get a good pair of gardening gloves and wear protective clothing if you have skin sensitivities. After the weeds are gone, plenty of water is another key! The summer tends to get hot and dry at times when our grass needs water the most. Choose the early mornings and evenings to run your sprinkler so that the sun is not as intense. If you need to get some fertilizer, that can also be found at your local home store! Sprinkle bare patches with grass seed if needed, and you’ll be on your way to the best lawn on the block! 2. Add some color with flowers. This doesn’t have to be an elaborate arrangement by any means. It can be as simple as getting a few hanging flower pots that have been pre-arranged or a few larger pots to place on the front porch. Either plant them yourself or go to the garden section and find one that you like. If you are looking for something a little bit more involved, you can certainly purchase seeds or plants to put straight into the ground where you like. Make sure that you read about the amount of sunlight and water each flower will need when choosing your spot. Miracle Grow and lots of water will help jumpstart your flower garden if you need it! Sprinkle in some different types of grasses or bushes for some variety and an interesting display! 3. Keep bushes and trees around your home trimmed. This may seem like common sense but there are a couple things we want to point out! Anything overhanging your gutters, porch or garage is a big NO! Not only can it cause problems for your home maintenance, but it looks sloppy to a potential homebuyer. The same goes for limbs that overhang a driveway or sidewalk. Take a quick walk around your property and trim back anything that you’re close to hitting while you walk. 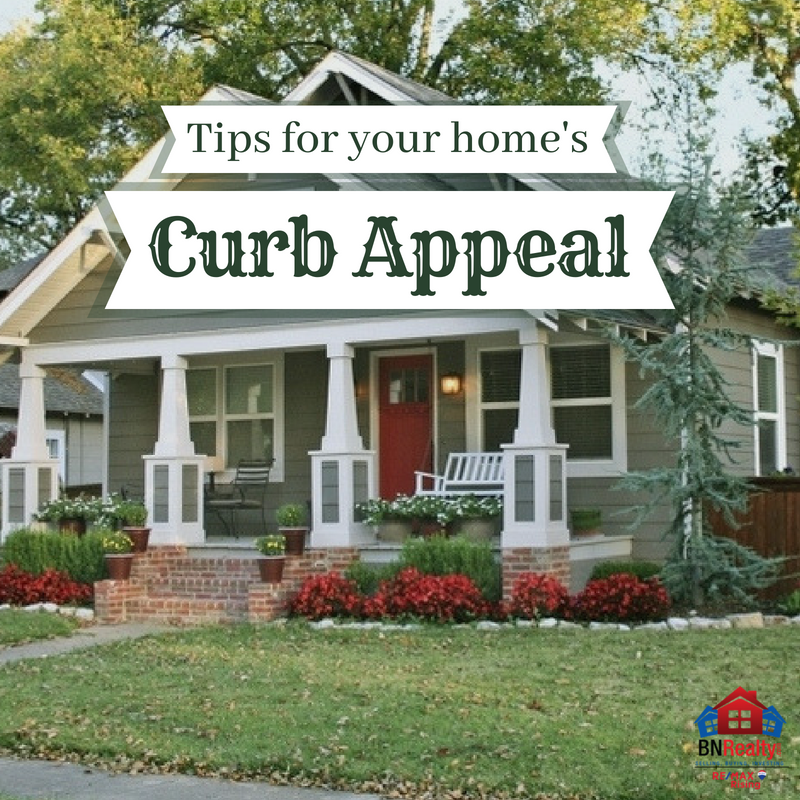 It’s easy to get caught up with decorating the inside of your home and sometimes forget about how important curb appeal really is! We urge you to put these few simple tips into practice and let us know if you have any other tricks for us to share!